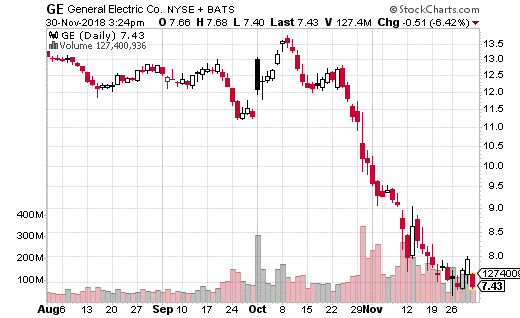 It’s pretty safe to say that every investor has heard of General Electric (NYSE: GE). For many years, it was the largest public company in the world with upper management nearly akin to rock stars. During the company’s amazing run atop the world’s greatest companies, GE was known for innovation and stellar management. Heck, the company was even co-founded by Thomas Edison! While the sprawling conglomerate has many business units, it’s primarily focused on jet engines, power plants, and medical equipment. But these days, the company isn’t even in the top 100 in terms of market cap (although it’s still valued at $71 billion). And the stock is down 55% so far in 2018. What’s interesting is the company hasn’t actually lost much, if any ground, in its core areas. The issue is the rest of the world has caught up to GE. The company is no longer considered an innovator, a title which these days is used to label companies like Apple (NASDAQ: AAPL) and Amazon (NASDAQ: AMZN). Furthermore, huge conglomerates are no longer en vogue – at the least the kind that bring together a collection of disparate companies. Just this past week, another huge manufacturing conglomerate United Technologies (NYSE: UTX) announced it would be dividing up into three separate public companies. This may also be the future for GE. A series of earnings misses, extreme debt issues, and various other problems has resulted in a mass exit of investors from GE stock. You can see from the chart that yet another massive wave of selling hit the stock in October – pushing the shares to below $7.50. And the bad news doesn’t look to be ending anytime soon for GE and its shareholders. Analysts are only becoming more bearish on the company’s prospects. But the worst news may actually be coming from the options market. Several monumentally bearish trades hit the wire last week that suggest GE could be in for even more punishment. The headliner of these trades came in the form of a put purchase… not just any put purchase though. A strategist purchased 300,000(!!) January 18th puts at the 6 strike – this with the stock at $7.50. The trader paid $0.19 for each put, but that amounts to $5.7 million in premium when executed 300,000 times. Breakeven is all the way down at $5.81, with max loss occurring anywhere above $6 at expiration (with the full premium at risk). On the other hand, every dollar below the breakeven point can generate $30 million in profits. It’s possible this trade is a hedge. However, given the execution of several other very large bearish trades in GE around the same time, this could very well be speculation on another plunge in the share price. Let’s put it this way – not only is the trader betting on another 20%+ drop in the share price, but it could happen by January expiration. That’s less than two months away! By the way, even if this is a hedge, it’s a lot of money to spend with the stock at such a low price – which means someone is really worried about downside. The bottom line is if you own GE shares and want to hold on to them, I highly recommending hedging. If you want to speculate on GE, you can do a similar trade or even better, move up to the 7 strike. With the stock at just under $7.50, the January 7 puts only costs about $0.45 cents. That’s a breakeven of $6.55 – a very plausible price by mid-January given how far the once-mighty stock has fallen. Discover the system delivering average gains of 28% per winner and a bulletproof 80% win-rate... even in this market. 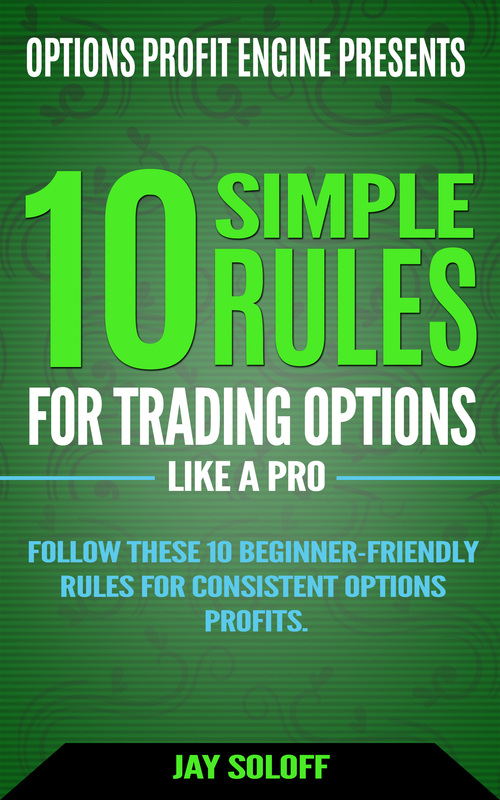 Former options floor trader Jay Soloff will show you how to become a Fearless Trader yourself. You'll see how using a trading system that eliminates fear means your income is safe and secure. It means the ups and downs of the market don't worry you because you're profiting no matter how bad things get. And it means generating income every week of the year like clockwork. The best part is, you can access this training immediately.